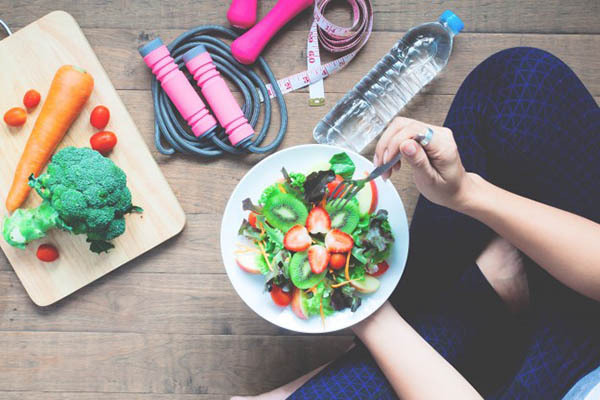 When talking about total body health and wellness, we cannot leave out the importance of seafood, most especially when it comes to cardiovascular health. 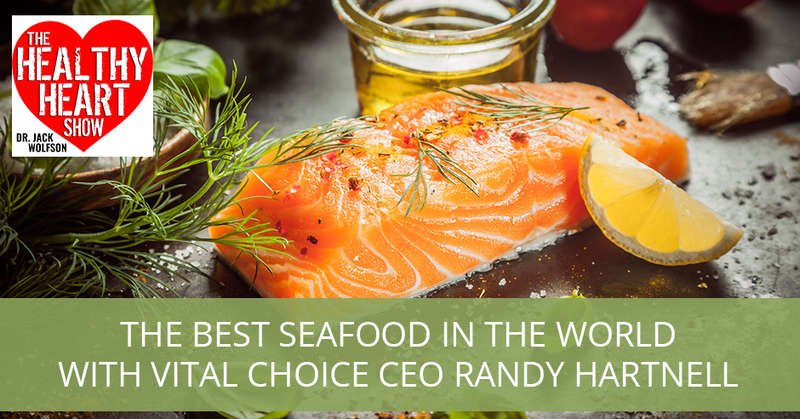 CEO of Vital Choice, Randy Hartnell, dives into this topic as he lays down the best seafood in the world. He differentiates between a wild and farm-raised salmon, teaching us which one is better. He also talks about mackerel and his thoughts on what is safer: bigger or smaller? Randy also lets us in on what goes on over at Vital Choice and why people need to come over and get their seafood. I’m always excited with my guests because I’m getting some of the greatest people to talk about health and wellness. Randy Hartnell, the President, CEO and Founder of Vital Choice Seafood, VitalChoice.com, it’s a privilege to have you on because you’re providing some of the best seafood in the world to the world. Seafood is so important for total body health and wellness and certainly cardiovascular health. It’s truly an honor to have you on. Thank you. Tell me your first memories of seafood. That probably would have been when I was about four years old and my dad had been out on a fishing boat and he brought a salmon home. I remember that big old salmon sitting on the counter in our kitchen. That was probably my first recollection. The smell of it, the look of it, the sea creature sitting in our kitchen and ultimately, I became a fisherman myself and seafood has been a big part of my life for decades now. I grew up in the Pacific Northwest. In Everett, Washington and Bellingham, Washington. You’re getting the best seafood up there. You’re getting tremendous high-quality salmon, some of the best of the best. What were some of those other seafoods that maybe dad brought home when you were a kid? He wasn’t a full-time fisherman. He had just gone out with one of his buddies and caught some fish on his friend’s gillnetter at the time. I didn’t start enjoying seafood intensively until I became a commercial fisherman myself. Back when I was in college, I started going up to Alaska to work as a fisherman through the summers and fell in love with that lifestyle and I ended up becoming a full-time professional fisherman myself. I’m starting to piece this together because I’ve only met you in a couple of occasions. I’m always like the guy who was standing around getting all the different samples you’re passing out at the conferences and I absolutely love it. You and I were out together at JJ Virgin’s Mindshare and it was full of Vital Choice Seafood and I was soaking it all in. When you talk about your time as a commercial fisherman, that reminds me of what you probably did when they were soliciting for us college kids at the time, “Come up to Alaska and you’re going to earn all this money for the summertime.” You’re one of the survivors because I know people who went up there and they didn’t last too long. They came back pretty quick. I went up one year to work on the processing boat. That’s where you’re working long hours and you’re not making a whole lot. Sometimes the kids could bring home a fair amount of money because they don’t have any way to spend it. I would watch the boats come and deliver the salmon to us and I figured out pretty quickly that I wanted to be on a fishing boat and not on the processing ship. The very next year, I had an opportunity to do that. I fell in love with that lifestyle. I did it for twenty years and probably would still be doing it, but there was a disruption in our industry around 2000 where farmed salmon had exploded on world markets. Grocery stores loved it, restaurants and chefs loved it and almost overnight we lost our markets. We were still catching a lot of salmon but the value plunged. I knew when I got to the end of 2001 season and I’ve caught a lot of salmon, these beautiful, sustainable, wild salmon, but they weren’t worth enough to be able to even pay my crew or pay my bills. I had to find something else to do and that ultimately lead to Vital Choice. What’s the problem with farmed salmon? Except for the fact that it killed some of the wild salmon industry and some of the profitability maybe back in the day, why is there a difference between wild and farm-raised salmon? It’s like the difference between wild bison or wild grass-fed beef and factory farmed alternatives, factory farmed beef. They’re not eating what they’re meant to eat. There are totally different nutritional profiles. There are a lot of serious environmental problems related to farmed salmon. There’s a whole series of issues on the nutritional side and then a whole series of issues on the environmental side. I know we don’t have a whole lot of time to talk about it so I would just advise any of your audience who are concerned about that or curious about that. Google farmed salmon and there will be plenty of information there. Seafood: Always speak to the chef and you can only hope that they’re being honest with you. They get pretty creative ranging from outright misstating what it is. A lot of times they’ll say it’s wild when more than half the time it’s not. I’ve had this happen to me several times. I’ll go to restaurants, it will say wild and then you discover that it’s not. If it is farmed, they’ll come up with all kinds of catchy names to describe it, organic or Scottish. There are a lot of different ways they embellish basically what it is. How do we know for sure that we’re going to a restaurant and maybe they’ve got two salmon options and the Copper River salmon is $45 for the entree and the Atlantic salmon is $25? How do we know? What’s the difference? As a general rule, my experience is just assume it’s farmed salmon. If they’re going to all the trouble to source truly wild premium wild product, they’re paying more for it. They’re going to feature that this is wild Alaskan or this is Copper River salmon, but you’ll almost never see that. That’s very generic. The reference is very generic. I always tell people to ask the waitress or waiter. If they act like they don’t know, they have to go ask the chef. It’s almost guaranteed it’s going to be farmed salmon. That’s my tip certainly is always speak to the chef and you can only hope that they’re being honest with you in their integrity. Frankly, we always call and we speak to the chef before we even go to the restaurants in our household. That’s for sure to make sure it’s on the up and up. 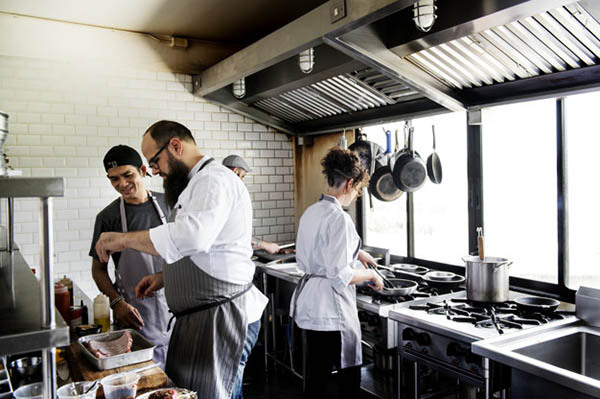 Typically, if you’re going to your local neighborhood restaurant or to one of your big box chain restaurants, it’s certainly not going to be wild. Let me tell you and I hope you don’t cringe with this. As a kid, I remember we went fishing on Lake Michigan and we pulled out some coho salmon and a lot of it. My dad was a cardiologist and so one of his cardiology partners took it to a place and had it all smoked. I’ve heard there are some beautiful cohos in the Great Lakes, but I’ve never experienced that. They were tasty. I don’t know necessarily their nutritional value or their toxicity. I guess I’m still alive. My father is not alive. He died at the age of 63. I’m not going to blame it all on that. I’ve got a lot of reasons to blame my father’s passing. What’s going on over at Vital Choice and why people need to come over to Vital Choice to get their seafood? Backing up to what I got out of fishing, it was a devastating time for myself and a lot of people. We just absolutely love this lifestyle. The last of the hunter-gatherers, you’ve got these fish, this food that people have been eating for tens of thousands of years. It was a primal occupation. I had to transition into something else and that ultimately became Vital Choice. It started with me going out and trying to educate people about the differences between wild and farmed salmon because at that time years ago, nobody knew the difference. Most people that are paying attention to their health and nutrition, they’ve figured out the difference. They want wild. They don’t want farmed for some of the reasons that we’ve talked about. Back then I went out and I’d take my barbecue and my Alaska Salmon. I’d go get a slot in front of Whole Foods or Trader Joe’s or Wild Oats and tell the story. These are all the benefits of wild salmon. These are all the problems of farmed salmon. What I discovered was when people learned the difference, they absolutely wanted wild, but they couldn’t find it. That eventually led to me promising to ship some salmon to one individual who was distressed that she couldn’t find it. That led to basically building our company on the Omaha Steaks model. I would go to Alaska. I would use my connections, my knowledge and my high standards. If you were a fisherman doing this for twenty years, you’d know where to go to find the very best fish. You wouldn’t settle for second best. That’s what I started doing is sourcing the best salmon I could find and shipping it to people. We’ve been doing it now for about seventeen years. My business partner has been fishing even longer than I was. We have several people. My brother, some of our employees that still go to Alaska as a commercial group. The takeaway is that we know wild salmon and we’re passionate about it. If you look at all the salmon, even the wild salmon that are harvested in Alaska and other places in the world, there’s a quality spectrum or a continuum. From the lowest quality wild salmon to the very best quality that basically reflects how it’s got, where, when, what catch method, how it’s handled after it’s caught. We understand all the smoke and mirrors that are used to sell the products that are maybe not so good for one reason or another. We go to people we know and trust. Some of them are like family for so long. We source the very best fish and that’s what we make available to our customers. That way, you don’t have to worry about being deceived and falling victim to all the fraud on the market. Every year there are more studies out 50%, 60%, 70% of the wild salmon in supermarkets is mislabeled. I’m not saying credible stores like Whole Foods and some of the more reputable stores don’t have good wild salmon. They do and if you find it, I encourage you to buy it from them. Even then, they’re not always getting the very best product there. The quality can be a hit and miss. We promise we’re going to get consistently good fish. That’s our story. We want people to be happy. Everything has a 100% satisfaction guarantee. We’d been growing every year for seventeen years just based on delivering what we say we’re going to deliver. That’s not always that easy especially when it comes to seafood. I’m such a huge seafood fan. We eat it at our house, five to six servings per week. I’m a big fan of anchovies, sardines and the wild salmon and I love shellfish. I love all that stuff. I know what I say to people when my patients asked me or we get emails about, “Is seafood still safe?” Is seafood still safe? Absolutely. This is something we understand the people are concerned about. It makes great headlines, a classic clickbait to say that all seafood is radiated. We probably spent more on testing to reassure our customers since Fukushima than any other seafood company in America because we grow. We’ve got a lot of customers all over the country and they’re concerned. Right out of the gate, after that tragedy happened, we started sending samples of our Pacific salmon and halibut and cod. It’s sixteen different species that we sent. We went out and found the best lab, credible lab, Eurofins, and we sent them all the samples. We’ve basically been sending them samples off and on ever since. It’s probably been over a year now because there’s never been anything to raise concerns and very reassuring. 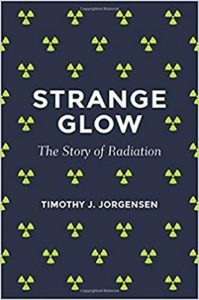 I had one doctor send me an email and he said, “This is the most reassuring thing I read about why we don’t need to be concerned about radiation on our seafood.” I think the book is called Strange Glow and it’s all about radiation. There’s a section in there that talks about Fukushima and basically what we’ve heard from other scientists and that is the incredible dilutive power, trillions and trillions of gallons of water in the Pacific Ocean. A lot of the radiation, those isotopes that came from that reactor have dissipated and are no longer there. There are ones with longer half-lives but they have not impacted the seafood. When people tell me that, I say, “First off in a fatalistic way, the whole planet is destroyed.” The cabbage that’s grown in California to the dandelion greens in the Midwest, everything’s got their share with it and we do the best we can. Any concerns are far outweighed by the nutritional benefits. It’s such a fantastic point and that’s the same thing with methylmercury. There are trace levels of methylmercury in anything that swims around in the ocean, but it’s all about the dose. The dose makes the poison. The levels of methylmercury in seafood are so small in all the seafood that we source and sell. In general, most of the seafood you buy in grocery stores is not a concern. You only have to go to places like Japan, where they eat ten, fifteen, twenty times more seafood than Americans. They are some of the healthiest people on the planet. The longest living and not the sickest. It is all about risk versus benefit. It is a total tragedy that for years the US government and the doctors have been complacent. The doctors know nothing about nutrition. I went through ten years of medical training. We never talked about nutrition once except for what Burritos we were ordering in Chicago and who was making the fast food run or eating out of the hospital cafeteria. That was nutrition conversation, but the fact that they would advise pregnant women to not eat seafood is a major catastrophe. The benefits to developing fetus are not there because they’re not getting in those Omega-3 fats that the babies need for their brain. It’s a total catastrophe. I have no doubt that it led to a tremendous amount of disease. Maybe even some of the neurodevelopmental disorders that these children have of which autism is one of them. Finally, I think science is starting to come around and saying, “We’ve got to get these women back eating seafood again.” The most recent studies I looked at says that there may be mercury in the seafood and there may be mercury getting into mom, but that seafood mercury has no impact on the child’s neurodevelopmental issues. One of the biggest studies that have been done on mercury in pregnant moms was conducted in the UK. It was called the ALSPAC study, Avon Longitudinal Study of Parents and Children. The 14,000 mother-infant pairs going in, they tested the women for mercury levels. There was an association between the amount of seafood they were eating and the levels of mercury that they have. They fully expected as they tested these kids going forward that as they grew up that they would find probably neurological problems in the kids born to the moms who ate the most fish and had the highest mercury level. They concluded it was the opposite. It was the women who weren’t eating fish that had the kids with the most developmental problems and neurological problems. They published it in The Lancet. I think Joe Hibbeln was the lead author on this paper. Basically, he said that the advice to pregnant women to avoid seafood is causing the harm it’s intended to prevent. Based on that study and there’s one other very credible study at the Seychelles Islands essentially found the same thing. They petitioned Margaret Hamburg at the FDA at that time to change this advisory to pregnant or nursing women. The advisory came out in 2004, basically telling them to limit their seafood consumption. It was only to pregnant and nursing women, but it got picked up and basically, seafood consumption in the United States started declining after that. They petitioned Margaret Hamburg at the FDA, “This is causing harm. You need to change this.” Ultimately after two to three years and a whole lot of effort on the part of about 200 scientists, they did agree to change it modestly. Rather than a maximum of two portions per week, it was a minimum of two portions a week. In any event, if you look at the science and the evidence, it’s much more harmful to avoid seafood, especially for pregnant and nursing women as it is to consumers. As I tell those women, wild salmon is always a fantastic choice, a very low level of mercury. You would know as far as the detectability. I know when I checked people’s levels for circulating metals, we’re not finding in the wild salmon eaters, we’re not finding it in those that eat sardines, anchovies, or some of the smaller fish. I don’t know if you know this about me at all, you probably don’t but I’m the guy on the airplane who opens up a can of sardines. You’re probably the only one that does it too. No one likes that guy. A can of sardines is the perfect travel food. One of the problems is when people travel and when you’re hungry and you’re not prepared, the only thing is fast food. When you bring things like the can of sardines, you bring the avocado on the plane, the nuts and seeds, you’ve got to be prepared. Another one of my favorite things that I tell everybody is to make your own salad dressing recipe. In there, that’s when you dump in the anchovies. When you get that pulverized into the salad dressing and once you put in your lemon and your apple cider vinegar, you can serve it to anybody. They’re not going to get that fishy taste. Even those that are the most averse to it, there are definitely other strategies. Seafood: Start spending the money on your health and wellness because your health is worth it. We import some wonderful fresh packed sardines from Portugal. I was over visiting and watching him put up our pack. They handed me this little can, like a two-ounce can of sardines. They said they’d call them pocket sardines because you put them in your pocket and you take them to work for lunch or whatever. We started carrying those and those are very popular too. That would be great for the airplane. Whenever someone says to put something in the pocket, I would say it’s much healthier to put the sardines in your pocket than to put a cell phone into your shirt pocket. How many people, especially women, maybe they’ll tuck in their cell phone into their breast pocket. The electronic device sitting on top of their electronic controlled heart. Tell me about mackerel because there are all different species of mackerel and they tell us to avoid the large mackerel or the king mackerel, but the smaller mackerel is better and safer and on and on. Tell me about it. We discovered the small chub mackerel when we started importing the sardines. I went over to Portugal to meet with some people that were growing or had an organic olive oil orchard and we never ended up doing business with them, but they introduced us to our friends who are fifth generation owners of a sardine processing facility in Porto. We started importing the sardines and we learned that they also catch these little mackerel. They’re the same size of sardines but flavor-wise, they’re almost a blend between sardines and tuna. It was delicious and very high in Omega-3. Clean and clear of the metal, the contaminant issue is not there. That’s something we’d been bringing in for over ten years now. The whole issue with avoiding mackerel is a lot like people generalized and say avoid tuna. There’s 500-pound tuna that have been out there for 40 years bio-accumulating methyl mercury and there’s skipjack tuna or even young albacore that are two to three years old and super high Omega-3 levels and have relatively low contaminant levels. It goes back to that risk-benefit thing. If you buy an albacore tuna in the grocery store that’s usually caught in such a way that it’s the much larger tuna and their Omega-3 level is not usually that high compared to the smaller ones that are hook and line caught at the surface. Much lower contaminants, much higher Omega-3 levels. It pays to be selective. That’s another thing that we do apart from salmon. We go out and source halibut or tuna or other things. We’re basically doing what you would do. We’re sourcing diversions of those other fish that we want to eat, the safest, cleanest, best one. Halibut, for example. These are fish that have weighed hundreds of pounds and live many decades of resource. Only 25 pounds and under. They’re part of every delivery. The fisherman come in and he’s got the great big ones and he’s got the little ones. Most processors tend to like the big ones because the yield is higher, the cheaper the process. We started sourcing the smaller ones there. It costs more to process but it’s cleaner and safer. It’s the type of fish you want to be eating. You’ve done all the homework for us. That’s absolutely incredible that you’ve done that. We so appreciate that and that’s the thing is that you’re a lawyer, you’re a doctor, you’re an engineer, you’re a business professional. Who’s got time to sit there and find out all these questions and who wants to even deal with all these questions. You go to Vital Choice and Randy and his team have done all the work for us. Are you going to pay more for it? You are but your health is worth it. We tell this to patients all day long, “I think you’re worth it.” You spending more money on yourself. If you want to do yourself a favor, cut out your $10 a day coffee habit from the local coffee shop and stop getting your hair done and your nails done. Start spending the money on your health and wellness. There’s nothing more nutritious than seafood. Another thing I tell people, for those people that are vegans out there, please start eating seafood. Randy, answer this question for me. Why doesn’t a vegan eat oysters? Does an oyster have any more or less feelings than a head of cabbage? Do we know that? If we’re doing it for ethical reasons, it’s an oyster. There are different reasons that vegan cleared over the years. One discussion that I’ve had with vegans in the past that seems to resonate with them is I tell them the story of this wild sockeye salmon. These fish live for four years. They live about 3.9 of those four years as nature intended. They’re born in the rivers, they migrate out to the sea. They become adults and at the end of their lives, the last stage of their odyssey, they come back to those same rivers and they lay their eggs and they die. They spawn and they die. The way the fisheries in Alaska work is there are scientists or biologists that are managing those fisheries. They figured out 50 years ago how many fish they need to get up the rivers to perpetuate the run and anything over that, they let the fishermen take. As a fisherman for twenty years up there, I participated in this management system. I know it intimately. We wouldn’t get to fish unless that biologist that was in charge of that river knew that he was going to get, in my river it was two million fish. Those fish are going to die anyway. There are 135 other species that survive and consume those sockeyes throughout the course of their life cycle, bears and eagles and a whole bunch of other things. Why should we be proud of ourselves? Why can’t we be one of those 135? Also, that sockeye salmon has lived his or her whole life as nature intended. It’s a beautiful story. The fish is one of the most natural real foods you’re ever going to find. I’ve had luck telling people that because if you’re worried about the humane side of it or the ethical side of it, it’s a beautiful system. It’s one of the most sustainable foods on the planet. In a way, if you’ve ever been up in the rivers and you watch what happens to those salmon from the time they come out of the ocean in prime condition, that’s when they’re caught. They enter that freshwater to go back up and spawn. Sometimes it can be weeks, depending on how long they are going to be swimming. It’s almost like fishing as euthanasia. They don’t feed, they’re basically starving to death. They’re living off their stored calories. They get up there, they’re totally spent. The birds are flopping around and the animals are eating them alive. The birds are pecking their eyes out, as opposed to being caught at the prime of their lives. Anyway, for people that are worried about we’re catching our last salmon, that’s not legitimate. We’ll take out for that. There’s going to be a lot for us. You and I don’t make the rules. The rules are from Mother Nature and Mother Nature said humans are seafood eaters. That’s all there is to it. That’s how it’s been for million years. It’s not going away anytime soon and when you’re getting the best of the best from a company like VitalChoice.com, you can rest assured that it’s best for you. It’s best for the environment. According to Randy Hartnell, it’s best for the salmon as well. I would agree with you. Kill me quickly as opposed to a bird pecking off my eyes and a bear struggling to catch me and I’m getting scraped and this and that. I’m sure your way is a lot more ethical than what they’re doing. I just want to throw in too that I’ve been in Bristol Bay where I used to fish. They have the biggest return of sockeye salmon they’ve had since they’ve been keeping records since 1952. Sixty million sockeyes came back. They only needed a small number of those to populate the different river systems, five or six river systems. It was a field day for the fisherman. It was great for the market. One thing that’s different from the time I was fishing is pretty much every salmon that I caught went to Japan. Americans weren’t eating much wild salmon but that’s changed. The market is strong. The fishermen are making a good living and nature is producing. Ladies and gentlemen, Randy Hartnell of Vital Choice Seafood. Go check out his website and you’re going to get the best of the best and reap the health benefits. Randy, thanks so much for being on the show. It’s my pleasure. Thanks for the opportunity. In 2001, after more than 20 years operating commercial fishing vessels from California to Alaska, I founded VitalChoice.com. Vital Choice is a solution for individuals seeking reliable access to truly superior “worry-free” seafood that they can purchase and enjoy with complete peace-of-mind. Since then we have expanded our offerings to include other nutrient-dense “real” foods and supplements, and grown to serve healthy and environmentally-minded customers throughout the US, Canada and beyond. I attribute our 17years of uninterrupted growth to a lot of marvelous, caring people and their uncompromising commitment to integrity, quality and service.